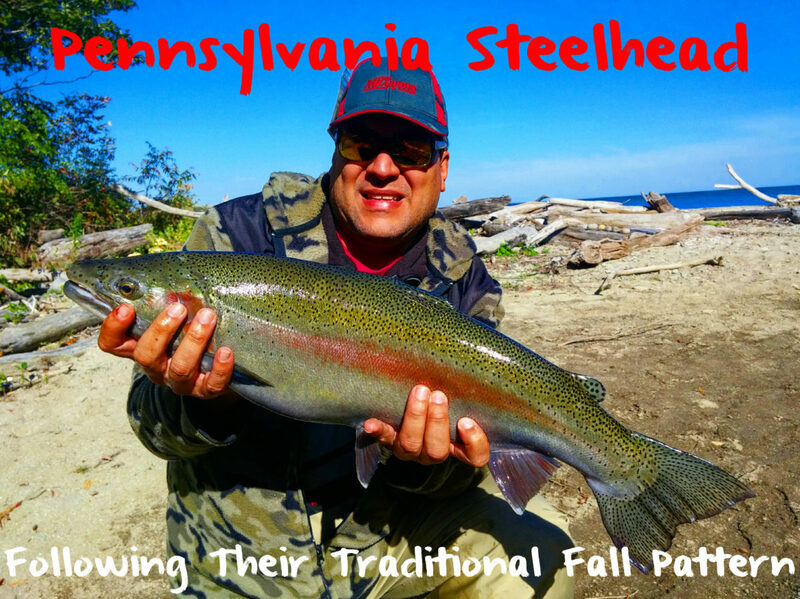 As with last season Pennsylvania steelhead anglers are being faced with low water again this fall. 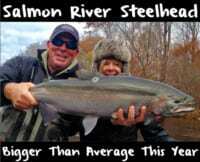 On a positive note, however, the sheer number of steelhead and their average size is on the rise. I’ve been up to target them several times this fall and have found success on steelies although the brown trout are scarce. Our streams are small to begin with. When the water is low the fish are wary because there’s almost no flow. The fish have a longer time to look at the bait and they can see your line because it’s so clear. It’s made angling difficult. Fortunately, water conditions are expected to improve as long as the rain that’s forecast this week arrives. Meanwhile, those who are adjusting to the conditions can find success. To do so it’s important to downsize drastically. Until the water rises to winter levels I’ll be dropping down to three-pound fluorocarbon and a size 18 to 20 Daiichi egg hook. We are also using small egg sacks and single eggs. The Lake Erie waterfront on the Pennsylvania shoreline is a honeycomb of small streams that maintain populations of steelhead. Most of the fall fish are going to average five and seven pounds, but we do catch the random fish greater than 10 pounds. I haven’t caught one bigger than 10 this year, but they are available. Light line can make it hard to get them to the bank. We’ve hooked them, but haven’t landed them. That should change this winter. In low and clear water we’re throwing primarily single eggs. I’ve been using Natural and Pink Fire Brine single eggs for the past few weeks. However, when the water starts to rise we’ll switch to egg sacks. With egg sacks we always carry sacks filled with salmon or trout eggs. You never know what kind the steelhead are going to want on that particularly day. All my egg sacks are all Fire Brine eggs, although many anglers using BorX O Fire cured eggs in their sacks. Fish are going to be in the deeper pools and higher up in the system. Although there’s fish throughout the system the majority of them are 10 miles and further up the stream right now. The lack of water hasn’t brought in a fresh run of fish lately. On the other hand, that will change later this week if the forecasted rain shows and brings water levels up. We know there’s many steelhead staging in the lake at the creek mouths. Once the rain arrives the entire systems will harbor steelhead. At this minute it’s low and clear, but that could change the second significant rain starts to fall. Editor’s Note: Joey Usher is the founder of SWPA Fishing and lives to chase trout, salmon and steelhead. 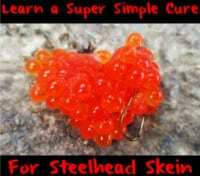 To learn more about SWPA Fishing please visit https://www.facebook.com/FISHSWPA.